Round 9 A-League action threw up little if any predictability, with perhaps only the Phoenix’s triumph against the Brisbane Roar going somewhat according to plan. It was, in fact, a thrashing. 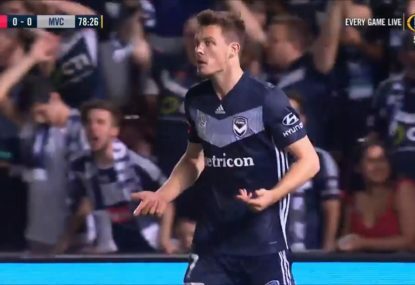 Sydney toppled the ladder leaders, the Melbourne derby ended in a dramatic draw thanks to a late Dario Vidosic equaliser and the Jets handled the Mariners; just. Round 10 presents the juicy proposition of in-form Victory against in-form Wellington and an acid test for Mark Rudan. Another loss for Brisbane in Sydney could be a tipping point for the club and New Year’s Day sees ANZ Stadium host the Wanderers and Melbourne City in a crucial game for both clubs. Be sure to insert your tips into the sheet below and continue the crowd’s pursuit of the tipping leader Evan Morgan Grahame. He is well clear at this point yet each and every week presents a chance for tipping calamity. It’s hard to see anyone stopping Melbourne Victory at home, even if Wellington Phoenix have proved tough to beat of late. Will Keisuke Honda return for the hosts? 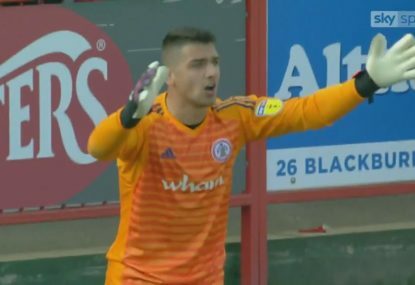 They may not need him, particularly with former Phoenix attacker Kosta Barbarouses in goal scoring form. Sydney FC have been nowhere near their best this season, but it’s nothing like Brisbane Roar’s form. The Sky Blues have proved their ability to grind out results over the past couple of weeks, and they should have too much quality for the desperately out-of-sorts visitors. The Jets look a more potent side with Roy O’Donovan up front, and with playmaker Ronny Vargas in sparkling form, they’ll be tough to beat in front of their home fans. That said, Adelaide are a stubborn opponent at the best of times, and this one could finish all square in the Hunter. How will Perth Glory respond to their first defeat of the season? By defeating the Central Coast Mariners, you’d imagine. Nevertheless, this is a dangerous game for Tony Popovic’s side. The Mariners are due for a win, and while they may eventually nab one on New Year’s Eve, the form guide makes it hard to tip against the visitors. It’s hard to reliably tip either the Western Sydney Wanderers or Melbourne City this season. Both sides are better than their win-loss records suggest, however neither has managed to really put it together for any decent length of time. The Wanderers continue to be hampered by their lack of a home ground, so expect a stalemate in the cavernous confines of ANZ Stadium. Kevin Muscat’s men would have been stung by the late equaliser that robbed them of all three points in the Melbourne derby. It seems logical that the form team in the competition will respond in spades when the Phoenix travel to face them at AAMI Park on Friday night. The visitors are on a real roll, sit comfortably inside the six and will be looking to produce an upset. With Honda back, Victory should prevail. Sydney FC will once again play a home match at Jubilee Stadium and after toppling Perth last week, should be too strong for the hapless Roar. The Jets and the Reds play an interesting clash at McDonald Jones Stadium on Sunday night. Newcastle look to be finding some form, despite leaving it until quite late to force the win against the Mariners last weekend. There were immediate signs that the change in structure that occurs when Roy O’Donovan is in the squad, might help the Jets recapture their form of last season sooner rather than later. Adelaide were unlucky against the Wanderers when forced down to ten men on Boxing Day and the result lacked clarity thanks to a trigger happy referee. However, this looks like a home win for the Jets on the back of some improved form. Central Coast and Perth do battle on New Year’s Eve in Gosford. Perth will look to get back onto the winners list after Sydney restricted their attack in Round 9 and some began to question the credentials of the men from the west. The Mariners are still searching for their first win of the season. This could be a wild night with the sense of festivities in the air often adding to the drama in New Year’s Eve matches. I’m tipping the first win of the season for the Mariners. New Year’s Day sees the Wanderers and City do battle at ANZ Stadium in Sydney. City will by buoyed by the late equaliser that saw them walk away with a creditable draw against Victory last week and the Wanderers were close to nabbing a much needed win against the ten men of Adelaide in a fiery game at Coopers. City are my tip for the first A-League match of 2019. Melbourne Victory host Wellington Phoenix in what promises to be a cracker. Apart from the Victory’s attacking aces, seeing Sarpeet Singh in action will be worth the price of admission. His performance against Brisbane last week was sensational. He is one of those rare breed of players who is comfortable running at defenders, not unlike a young Harry Kewell. My heart says Wellington, but the home ground and hot weather should favour the Victory. 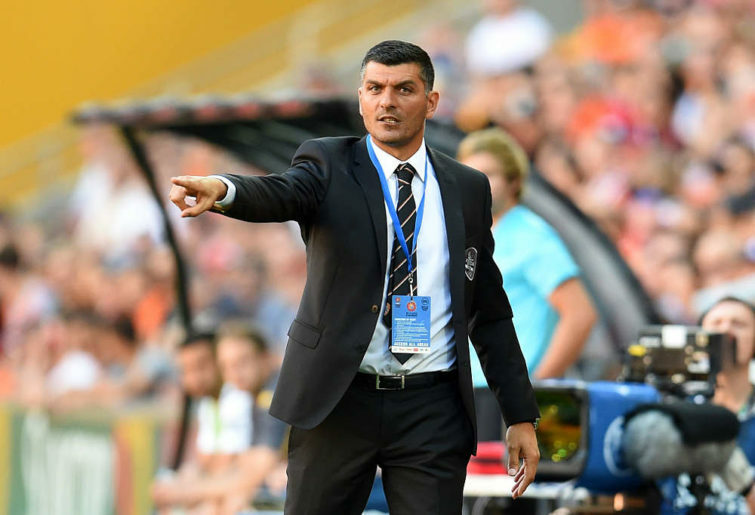 Brisbane coach John Aloisi’s position seems to be safe for now but expect calls for his blood to get louder if they lose again. Although Jubilee Stadium hasn’t been a happy hunting ground for Sydney FC this year, they should be too strong and add to the pressure on Aloisi. Newcastle’s slow grind back to form continued with a good win against Central Coast last week – and wasn’t it good to see the healthy Jets away support. Roy O’Donovan may have struggled on his return but getting the three points without relying on him are signs the club is on the improve and the Jets should be too good for an inconsistent Adelaide. Central Coast host Perth Glory on the shores of Brisbane Water in a New Year’s Eve game that should have a festive atmosphere. Maybe a few champagne bottles amongst the sauce? Mariners’ coach Mike Mulvey will be desperate to get at least a point and turn his season around. Glory were wobbly at times against Sydney FC last week but Tony Popovic is shrewd and will get the best out of his charges for the win. In the first game of 2019, Western Sydney Wanderers host Melbourne City in what might be a sparsely populated ANZ Stadium. Markus Babbel’s New Year’s resolution will be to score a few more goals. 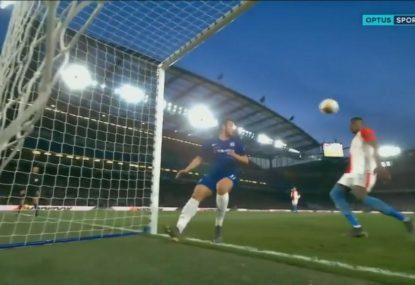 I don’t know where they will come from – maybe an own goal and a dodgy penalty. The Wanderers to surprise and win by two. 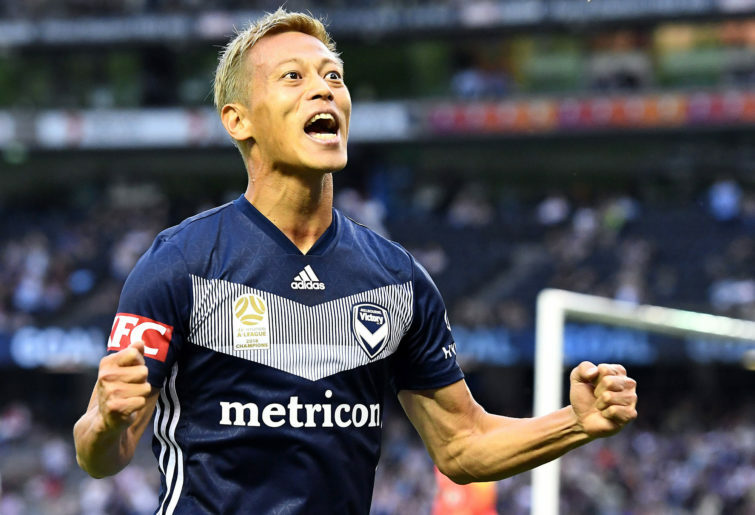 Although much rests on the availability of Keisuke Honda – whose absence from the derby last week was infuriatingly left unexplained – the Victory should be able to halt Wellington’s incredible march up the table. Second on the home-only table, and seventh on the away-only equivalent, Wellington do not travel as well as they do defend their patch, and the Victory support always make this a tough trip. Antonis and Troisi will be itching to show just how worthy they are of the Socceroos call-ups they weren’t given. Victory to win. 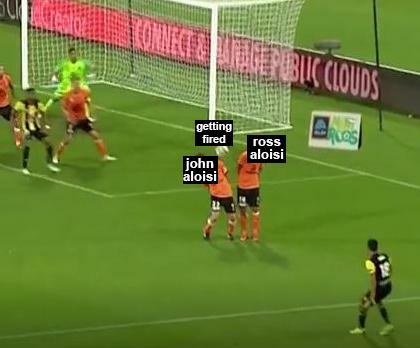 After last week’s drubbing by Wellington produced some truly elite memes, it seems only a matter of time before patience runs out for the Aloisi brothers. A heavy loss to the reigning premiers might be the final thudding blow that finishes things, and Sydney are more than able to apply that knockout shot. The Sky Blues’ tough away win over Perth consolidated their derby win two weeks, ago – although both wins were gilded with luck. 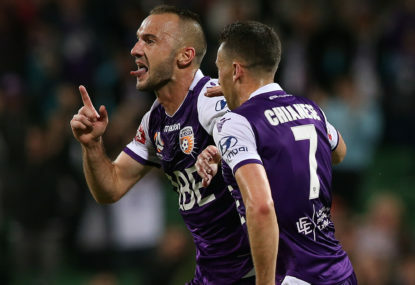 Sydney will want to keep pressure on Perth and Melbourne Victory and for all of their injuries and unexpected losses, are still just three points off the top. Newcastle took their time to overpower Central Coast last week, whose season remains an unadulterated ordeal, every bit the torrid embarrassment that began with Usain Bolt, and seems likely to end with another wooden spoon. 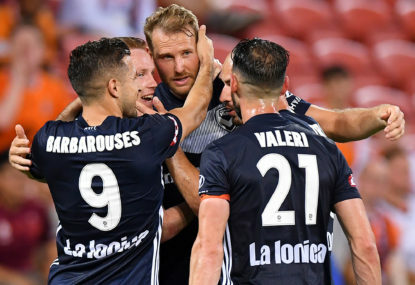 At the time of writing, Adelaide are yet to conduct their Round 9 match with the Wanderers, but are heading into it on a two-match losing streak. 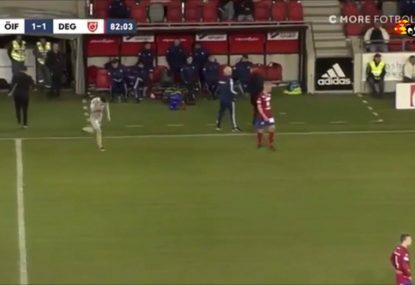 The Reds and the Jets are not clicking in attack, generally, and although Roy O’Donovan’s return helps Newcastle, he will take another week to get into the groove – it would also help if the Jets stopped simply whacking long balls at him. Draw. Perth take a trip to Gosford, hosted by a Mariners team still looking for their first win. If the Mariners weren’t able to beat a stodgy Jets team, at home, then it seems unlikely they’ll do any better against the table-toppers. Perth are a team who prey with relish on defensive frailties, and need only a glimpse of goal to scythe through. The Mariners are so soft defensively – and dropped Kalifa Cisse from the squad entirely last week – Perth ought really to stroll to a win here. Again, the Wanderers are yet to play their Round 9 match at the time of writing, so a dominant win over Adelaide might change the outlook for this game against City. Melbourne City is the team hardest to predict so far this season; they’re yet to have back-to-back wins, draws, or losses this season, with each round a different result to the one before. They were perhaps a little fortunate to equalise late last week in the derby, and still go through periods of slogging, blunt play. But then so do the Wanderers. A draw.